Dr. Sotirios P. Chatzis is an Assistant Professor with the Department of Electrical Engineering, Computer Engineering, and Informatics, CUT. Before joining CUT he spent many years performing research with the University of Miami, USA, and the Imperial College London, U.K. He has first-authored more than 60 papers in the most prestigious journals and conferences of his research field, including ICML, ICCV, AAAI, IEEE TPAMI, and IEEE TNNLS. 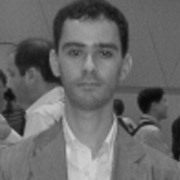 He has served from many years as Technical Committee Member of several top-tier venues in Machine Learning, including NIPS and AISTATS. He is currently serving as Associate Editor of the IEEE Transactions on Signal Processing, as well as of the Pattern Recognition Journal. His research interests in the field of machine learning focus on nonparametric statistics, hierarchical graphical models, variational inference, and latent variable models for data with complex sequential dynamics. The main application areas of his theoretical research deal with social network analysis, natural language processing, as well as risk modeling and volatility hedging in quantitative finance. His research is currently supported by the H2020 programme and a research gift from NVIDIA. He directs the Statistical Machine Learning laboratory of CUT, which currently hosts 2 post-doc researchers and 2 PhD students. In the past, his research was supported with scholarships from the Bodossaki foundation, and the Greek Ministry for Economic Development.